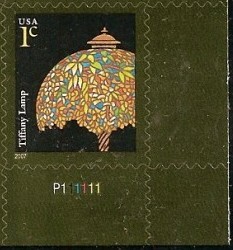 Plate P111111 has a 2x5 (10) PPD on the front of the pane. The 2007 date applies to the print run. 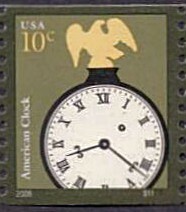 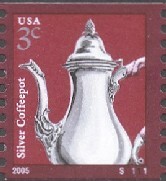 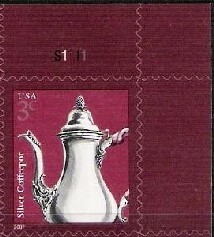 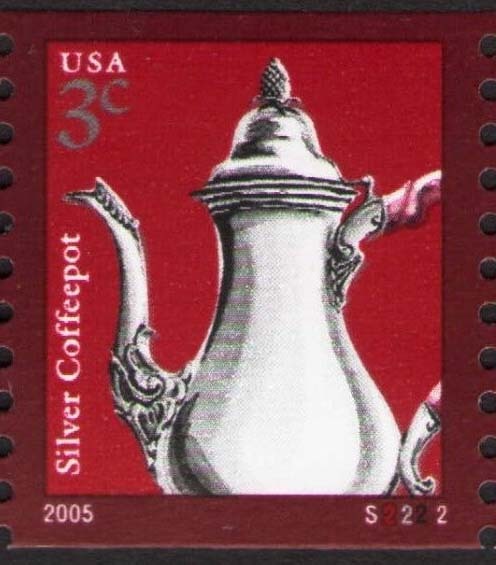 The 2003 copyright date is because the design was used for the 1¢ coil stamp in 2003. 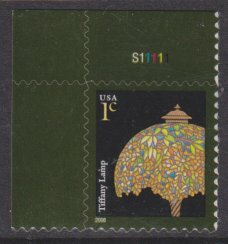 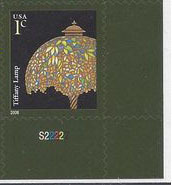 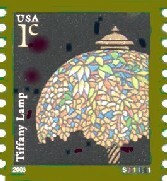 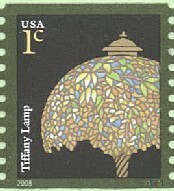 Scott 3749A, 1¢ Tiffany lamp, 2008 date, die cut 11-1/4 x 11, plate number S11111, S22222. Plate S11111 has a 2x5 (10) PPD on the front of the pane. 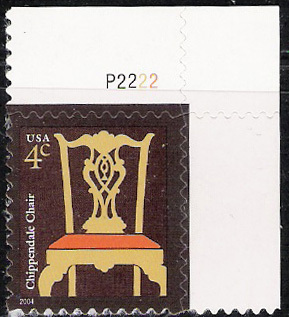 A reprint in 2015 was assigned plate number S22222. 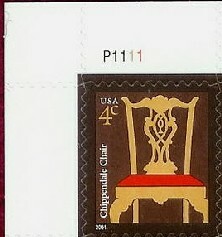 For the reprint, the copyright and 3x5 (15) PPD appear on the back of the pane. 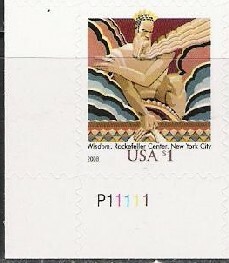 A reprint in February 2019 occured for both S11111 and S22222. 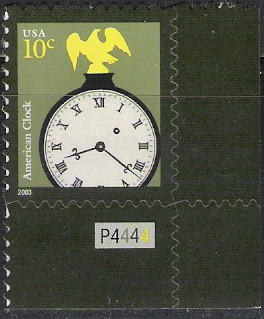 Some 2008 dates might appear as "2003" if the green and white inks were not perfectly aligned. 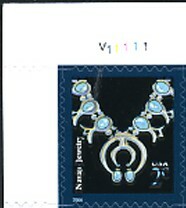 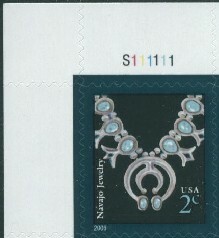 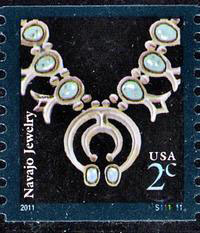 The 2004 Navajo Necklace stamp was reprinted for the 2007 rate change from 39¢ to 41¢. Minor shade differences have been reported in the reprinting but they are apparently insufficient to justify a major or minor Scott number. 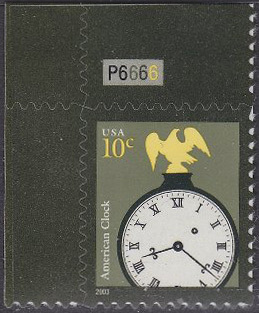 Scott 3757b, 10¢ Clock, overall tagged, plate number P6666 and P7777 (dated 2003). P7777 was printed in 2013 and first reported in 2014. 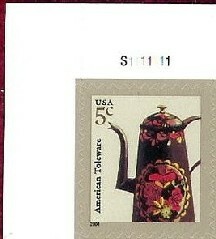 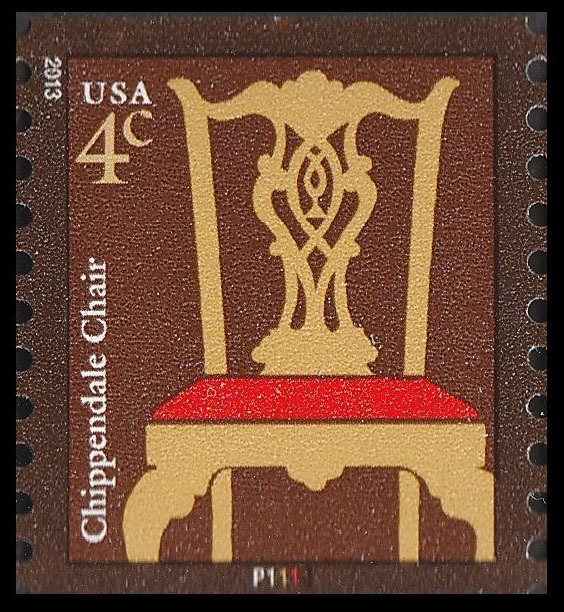 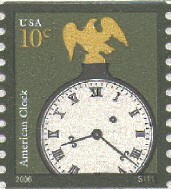 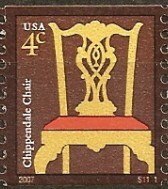 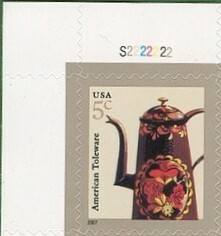 Some collectors do not consider the $1 Wisdom stamp part of the American Design series. 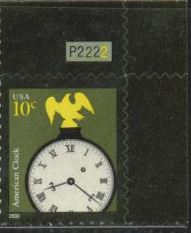 This page last updated March 3, 2019.